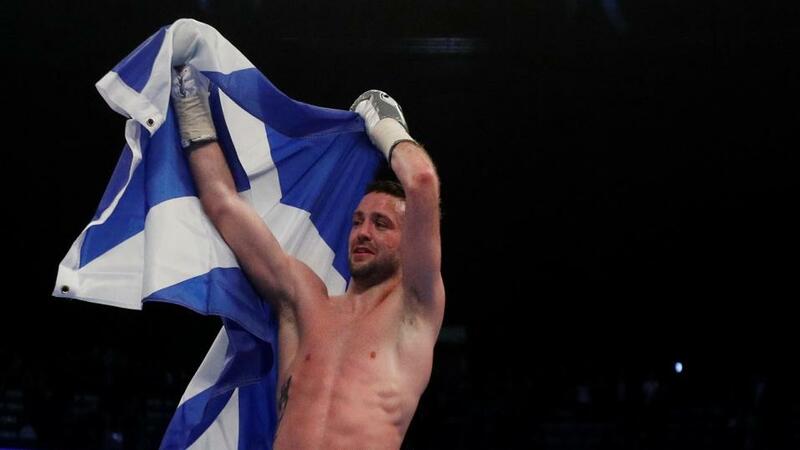 "those yet to be convinced were won over by the seventh-round stoppage of Londoner O’Hara Davies in a grudge match at the Braehead Arena last July"
Josh Taylor has boxing fans excited. The 27-year-old from Edinburgh impressed in his first dozen outings, powering to a 12-0-0 record with some eye-catching names already on his CV including Ohara Davies and Miguel Vazquez. The stylish southpaw faces what will be the toughest test of his career to date on Saturday at Glasgow's SSE Hydro when matched with Ukrainian Viktor Postol, a fighter who recently took Terence Crawford the distance for WBC and WBO world titles. If Taylor can extend his winning run in front of a packed-out stadium and the Channel Five cameras he'll not only defend his WBC silver super lightweight title but also take a step closer to challenging for a recognised world title. Easier said than done when in with a talented fighter chasing his own dreams. As an amateur Josh Taylor collected gold at the Commonwealth Games 2014 and silver when competing in the 2010 version from Delhi. He had no trouble dropping the vest to move into professional boxing, scoring a second round TKO over American Archie Weah on debut three years ago. Since then he has taken his record to 12 wins from as many outings with 11 of those ending inside the distance. Followers of the sport with a keen eye for emerging talent knew from an early stage Taylor was going places, and in a hurry too, but those yet to be convinced were won over by the seventh-round stoppage of Londoner O'Hara Davies in a grudge match at the Braehead Arena last July. Billed as a 50/50 before the first bell, Josh oozed class on-route to winning Commonwealth and WBC silver straps, demonstrating polished boxing skills and the heart to get in close and fight when needed. The hottest talent in Scottish boxing has won plenty of fans along the way, including traders and punters. Betfair Sportsbook have him as a hot favourite to win again with 1/12 available. With a stunning 92% KO average another early night is sure to prove popular, especially with the locals. The fight betting suggests it's a simple matter of how Taylor will win this bout and although the home fighter's form is progressive the man in the opposite corner is no stepping stone. Viktor Postol brings a 29-1-0 tally to Glasgow with a 10th round win over Lucas Matthysse a personal best so far. It's easy to forgive the spare too with Terence Crawford considered by many in the know to be boxing's current pound-for-pound king. With experience also working in his favour there will surely be bits and pieces of interest on the upset especially with Betfair Sportsbook sending out a generous 6/1. He's better than that. There's enough there to avoid the method of victory market as he has a lowly KO average and it's notoriously difficult to win on points in Scotland against a local lad.